White Night is the Melbourne edition of an all night event, where the arts (in all its forms) takes over the CBD for 12 hours. While Paris was the first city to instigate its own White Night, my home town has made it its own. 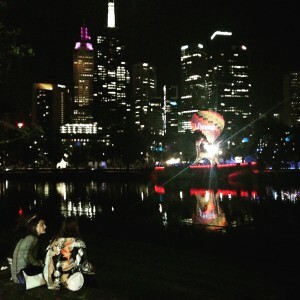 The first Melbourne White Night was in 2013, so I’ve never had the opportunity to experience it…. until now. 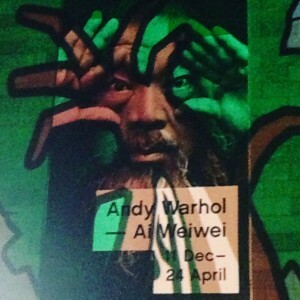 I’ve been so excited it’s been pencilled into my diary since I booked my tickets to Melbourne. The babysitter booked, I was ready to launch myself into the thick of over 500,000 people to experience everything the city could throw at me. 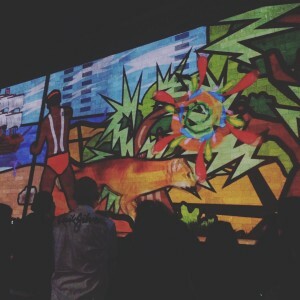 Whenever I’ve spoken to people about their experience of previous White Nights, they’ve raved about the light shows and the electric atmosphere. So I wasn’t disappointed when I hopped off the tram at the National Gallery of Victoria to be greeted by this huge, vibrant light display that stretched across the entire length of the building. Heading into NGV, we enjoyed a glass of wine listening to the uplifting tunes being played by a local DJ and people-watched. Everyone was out and about experiencing the night. The young, the old and the hipsters alike. It was a merry melting pot where no one seemed out of place, and everyone was welcome. Refreshed and ready to head out we left NGV and headed to the Alexandra Gardens. Looking across I was incredibly disappointed to see Flinders St Station looking just as it had a few days ago. While this grand old building is resplendent in yellow everyday, it looked almost drab when compared to the transformation that NGV’s grey brick exterior had made. Even Federation Square, a traditional meeting spot, was lacking in atmosphere. Hugging the riverside as we walked along the edge of the gardens, the atmosphere appeared to have been transferred to Birrarang Marr. The joyful beats of Spanish music could be heard filling the air as the crowd jumped up and down in the distance. 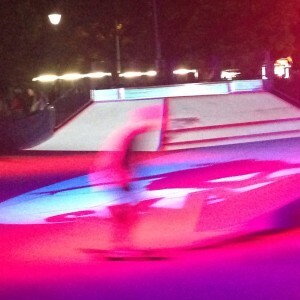 We chose to visit Skate White Night, a skateboarding park that had been set up for all night acrobatics. 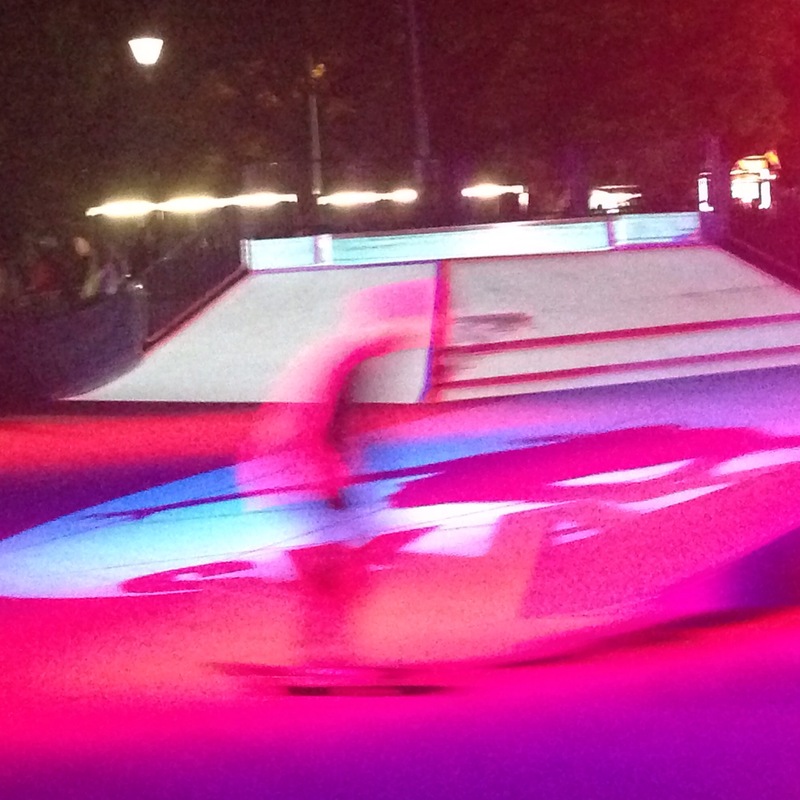 While the crowd was quite thin, the boarders didn’t disappoint; jumping, spinning and thankfully not breaking any bones as they glided along the ramps that were lit up like a 70’s disco. Wandering back along the riverside, it was hard to believe that it was now past 1am. 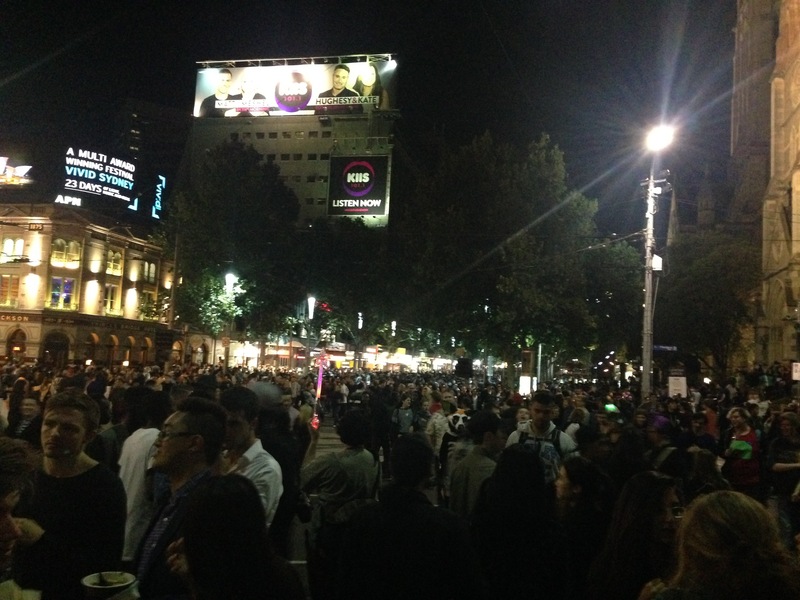 There was a sea of people covering what was once Swanston St, yet the city felt like it was lacking something. Despite all the people, I had expected to see the entire city lit up like a Christmas tree. Instead it just felt like another Saturday night in the city, albeit with a few hundred thousand more people and less alcohol infused ugliness. 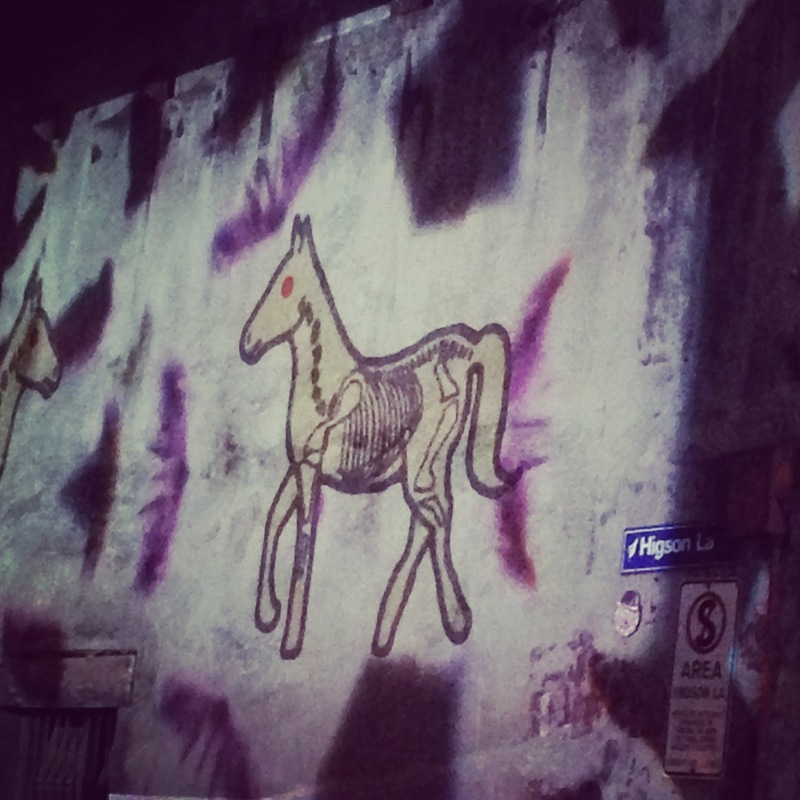 We headed up to see some of the city’s famous laneways, and sadly even they seemed to have been left out of the event. Although we did find one lone horse on Flinders Lane. While we heard whispers that the Exhibition Buildings were the place to be, without any public transport running and a swollen foot, I was less than inspired to go the distance in case the rumours were just that. Instead we decided to find somewhere to have a nightcap, yet found the late night haunts we’d usually relied on to be closed this evening. Finally we made it to Spring Street, which was now almost dead, even Parliament House had been left out of the party, but thankfully the old faithful Melbourne Supper Club was still open for business. A mellow glass of wine and cheeky platter of cheese later, and we were ready to head home. Thankfully, taxis weren’t hard to come by at 3am. A silver lining at the end of a rather disappointing White Night. Thinking about it now, I do wonder if I’d do it again. While I love the concept it appears that Melbourne City Council chose to sacrifice atmosphere and excitement in favour of crowd control. Given the crowd was family friendly and relaxed, even in the early hours of the morning, perhaps their fears were unfounded. 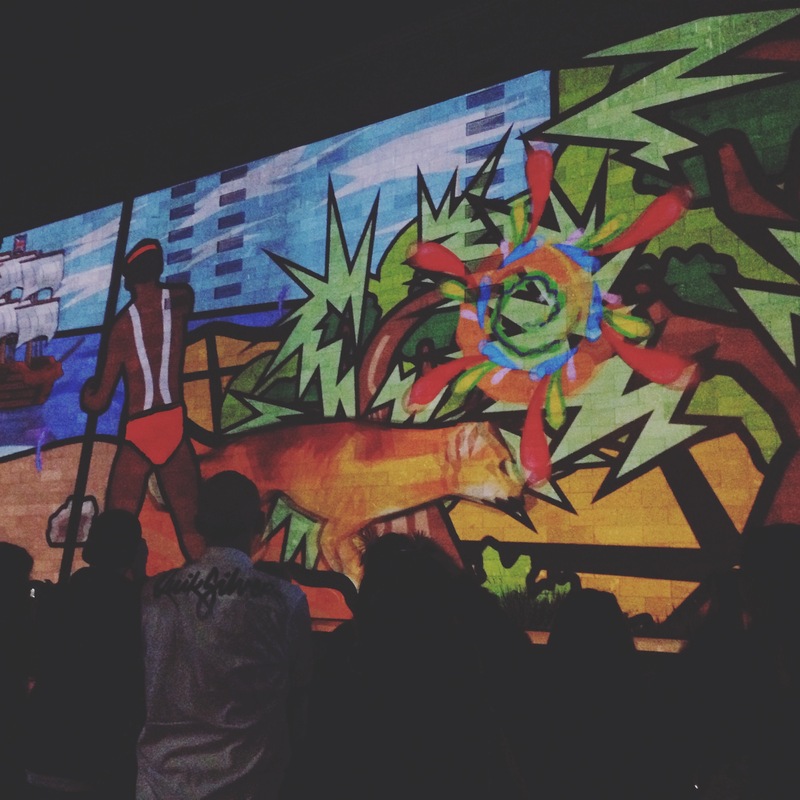 I hope they find a solution that brings back White Night the way it was meant to be; a celebration of the culture of one of the world’s great cities. 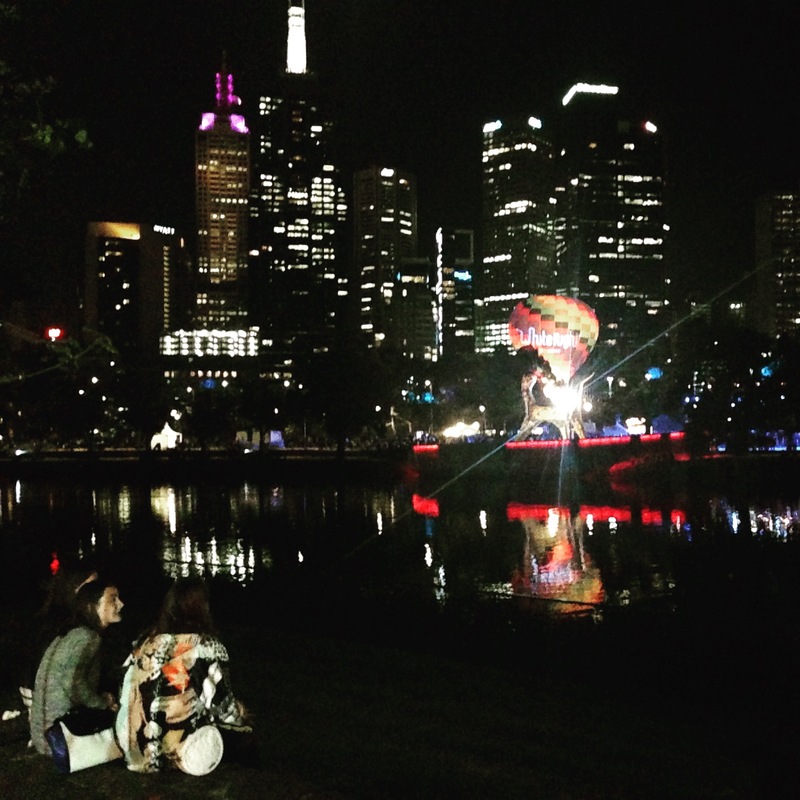 Perhaps you could let the Lord Mayor know your thoughts.Most Melbournians attending White Night felt the same. From what I read of the night the Mayor must have the message now. Such a pity I hope they get their groove back next year.